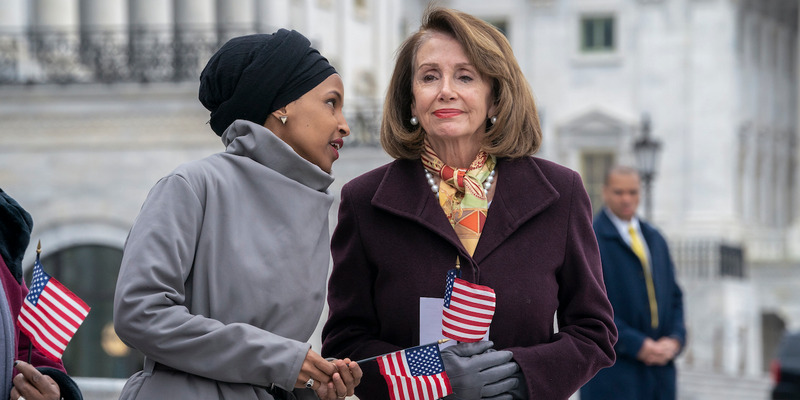 House Speaker Nancy Pelosi condemned both Rep. Ilhan Omar — without naming her — and President Donald Trump on Saturday after Trump tweeted out a video attacking Omar for a controversial remark she made about 9/11. Some 2020 Democratic candidates condemned Trump’s video attack in much stronger terms and warned it could inflame Islamophobia and incite violence against Omar. Pelosi’s decision not to defend or even name Omar in her statement enraged many progressive activists.